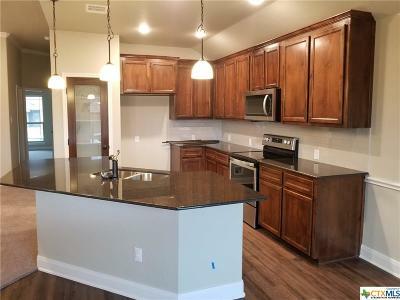 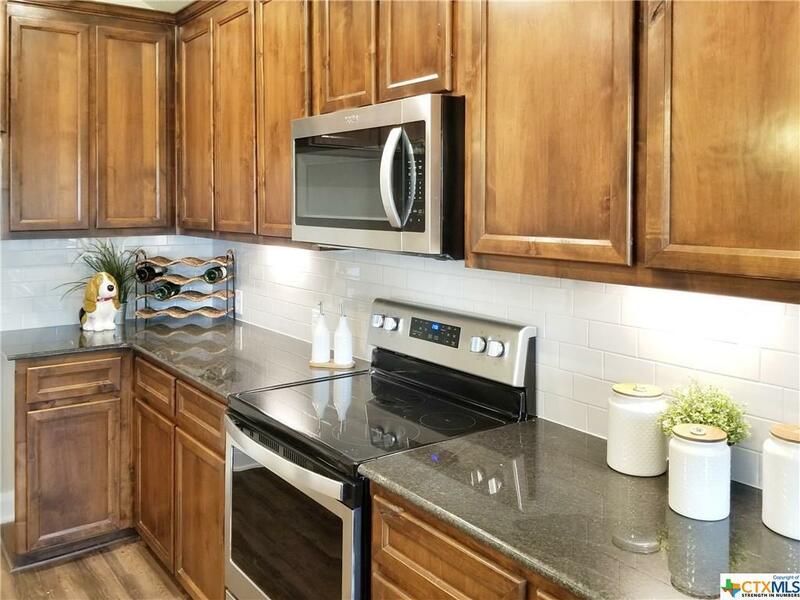 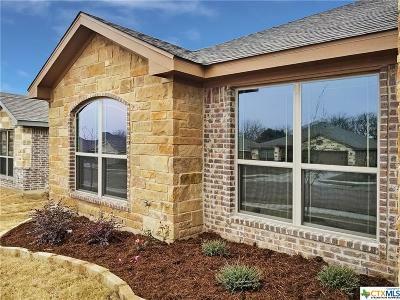 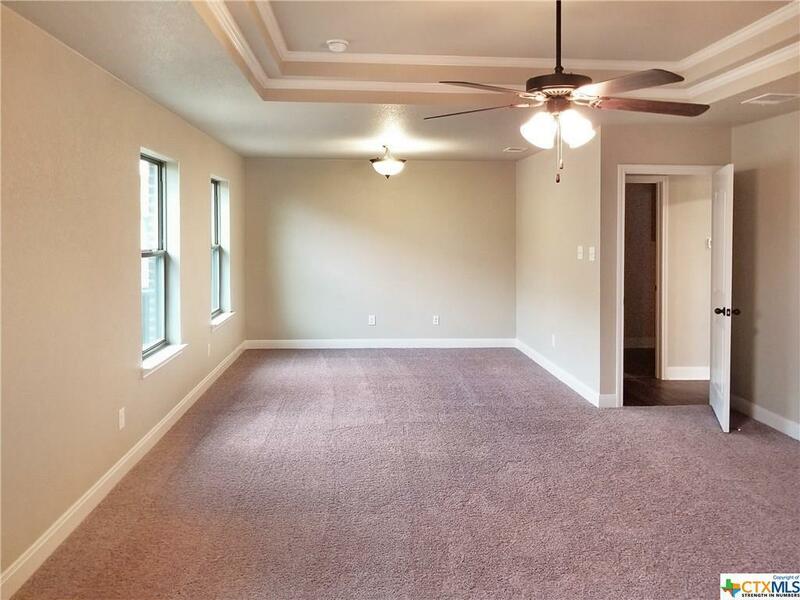 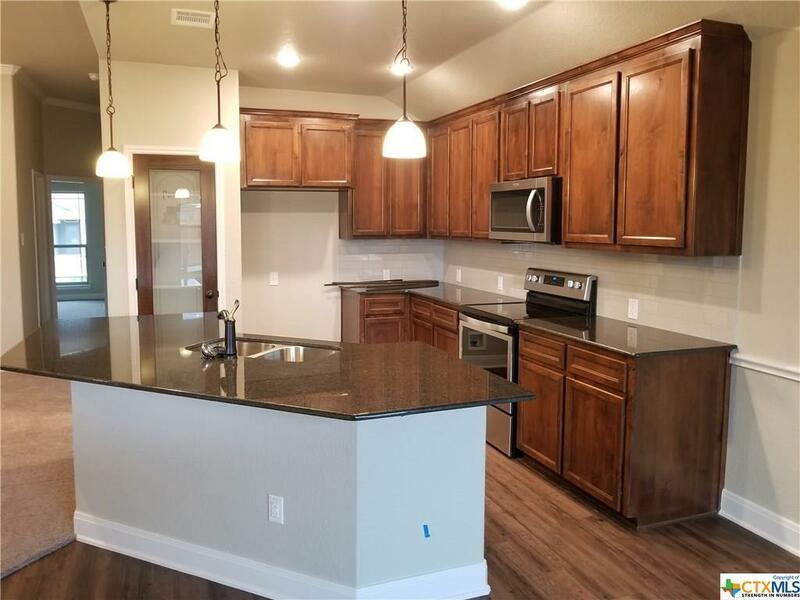 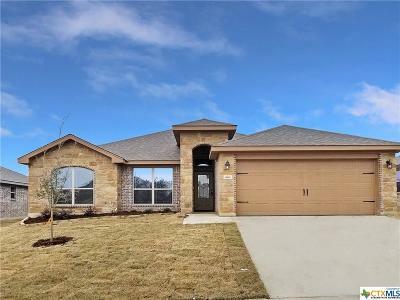 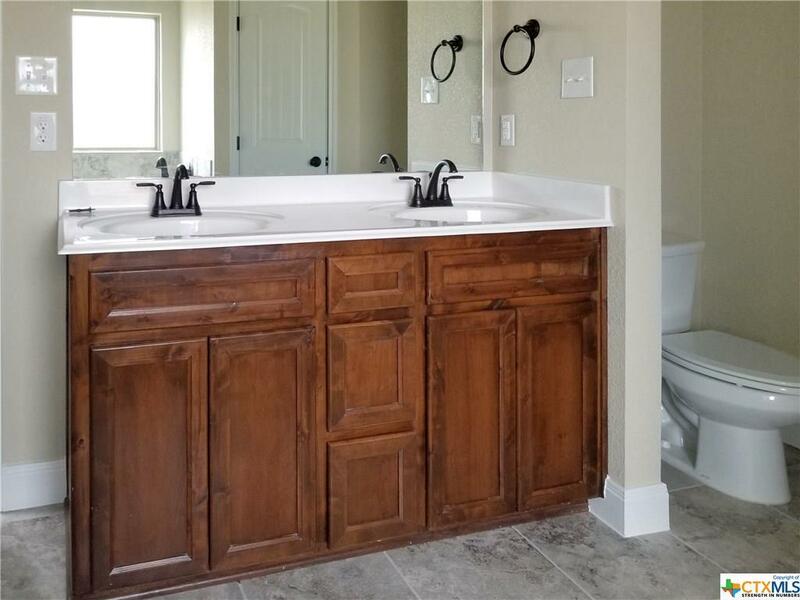 Brand new home in Belton TX! 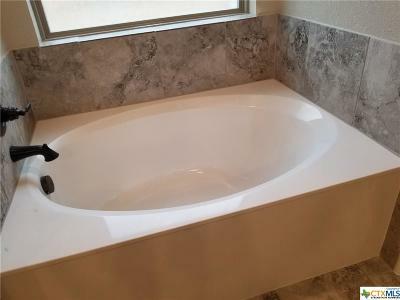 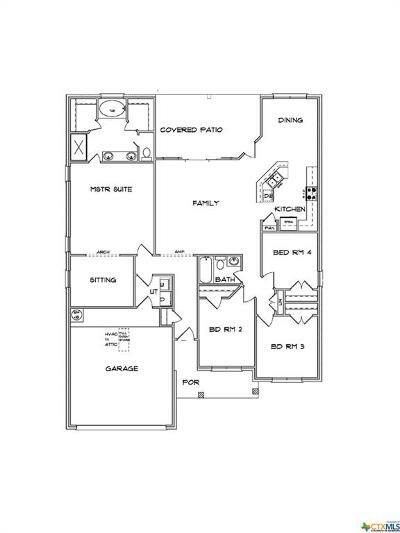 One of Jerry Wright Homes' most popular plans! 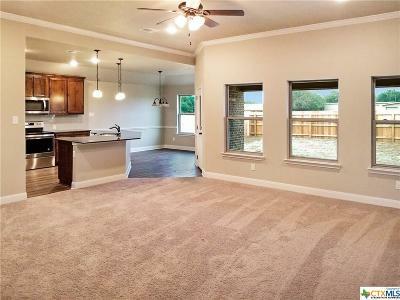 Spacious living room that's open to kitchen and dining creates a cozy atmosphere for family and guests. 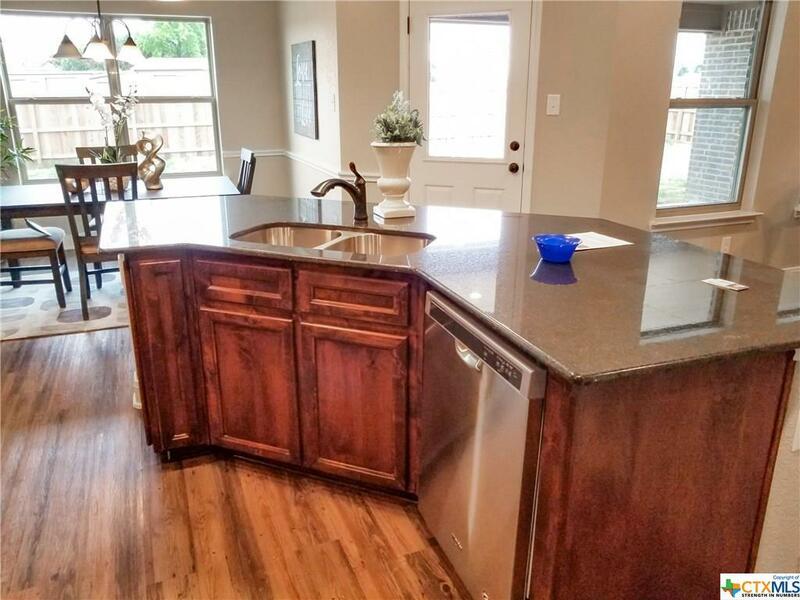 Kitchen features granite, tall custom cabinets, nice sized pantry, tile flooring and deep stainless steel sink. 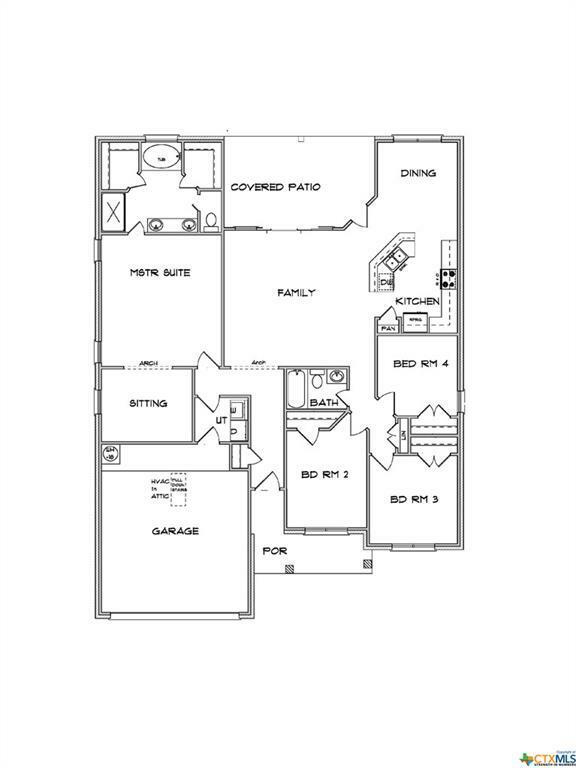 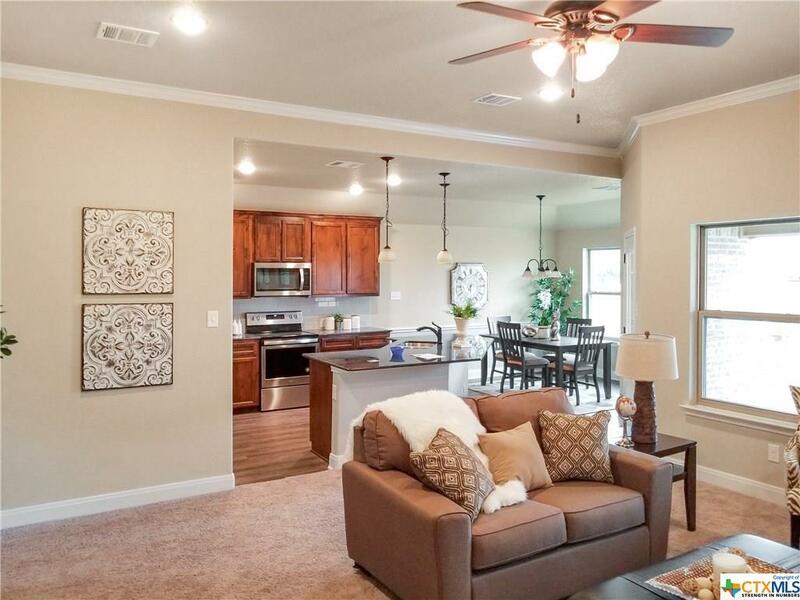 Convenient access to the patio and back yard opens right out of the kitchen/dining area. 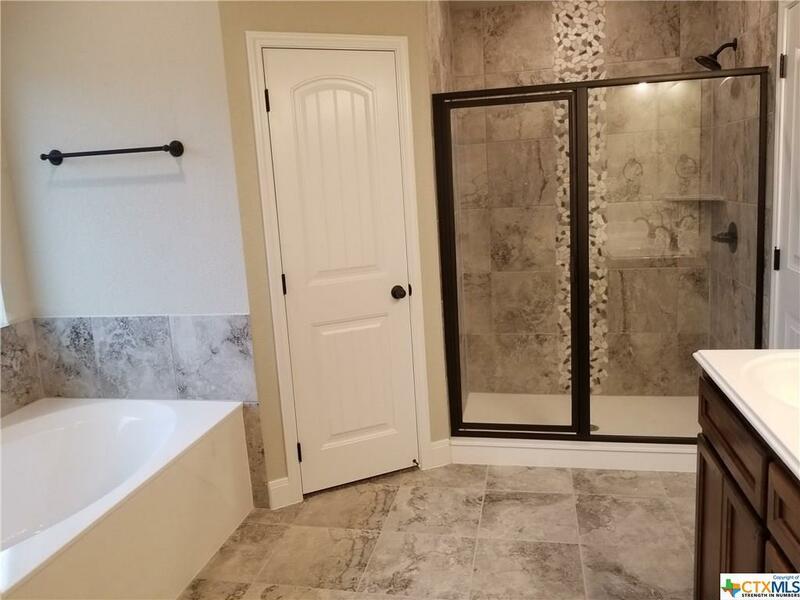 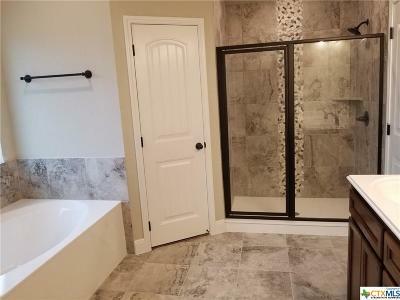 The Master suite is in a private wing and has an adjacent flex room, as well as a hollywood style bath featuring separate tiled shower and deep cmarble garden tub. 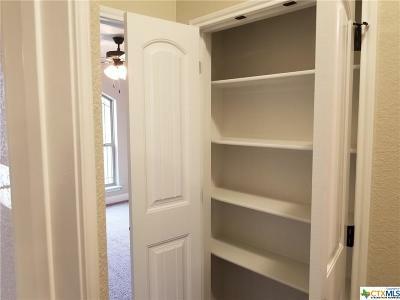 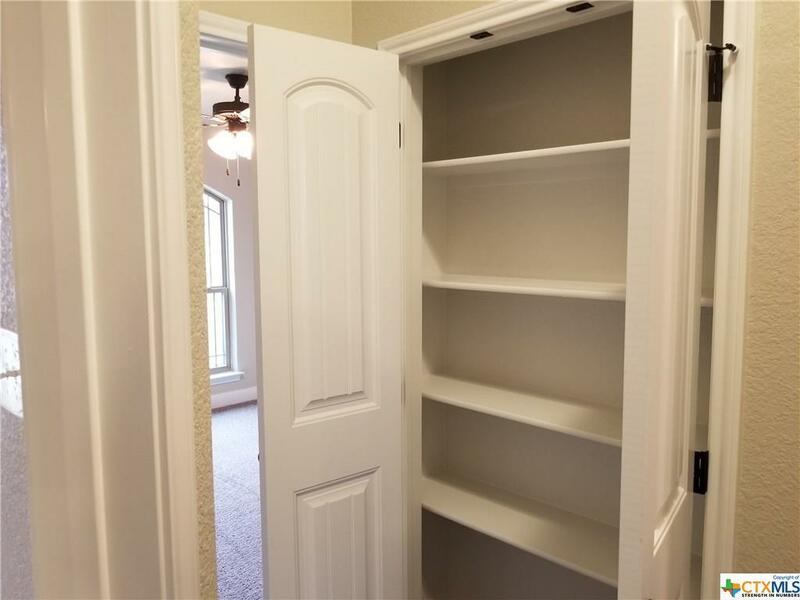 Minor bedrooms have plenty of closet space and there's a double linen closet in that hallway! 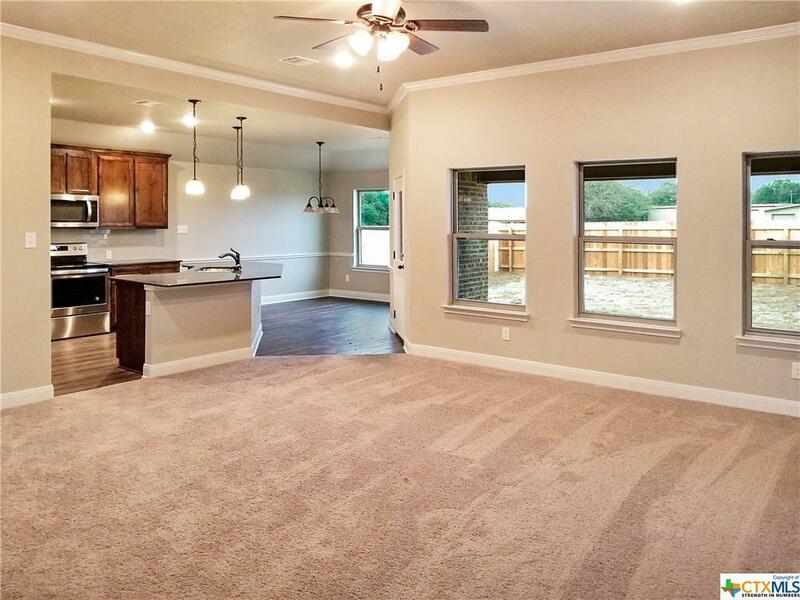 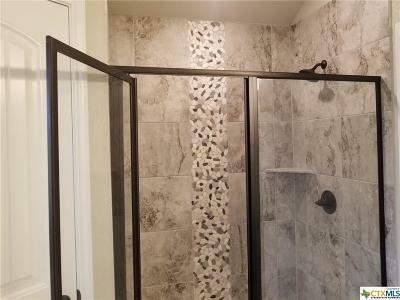 Builder includes full yard grass sod, wood privacy fencing and in ground automatic sprinkler system with this home. 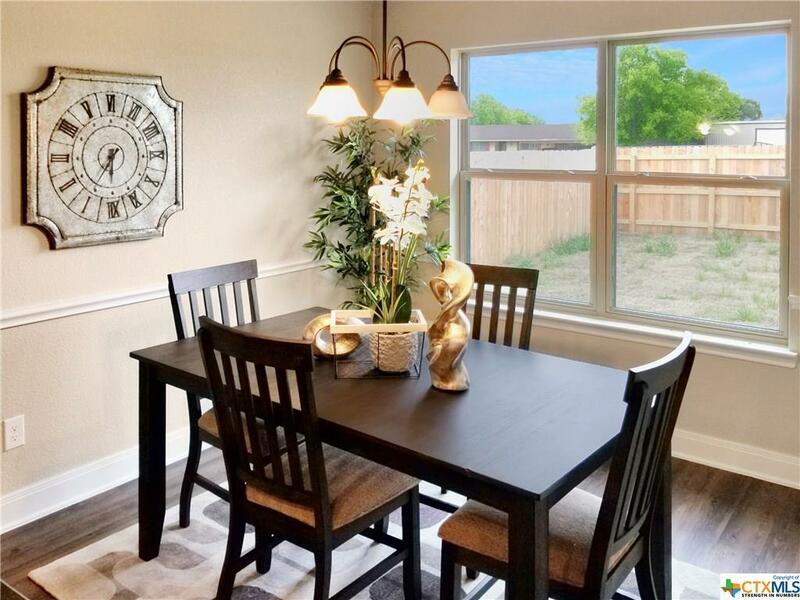 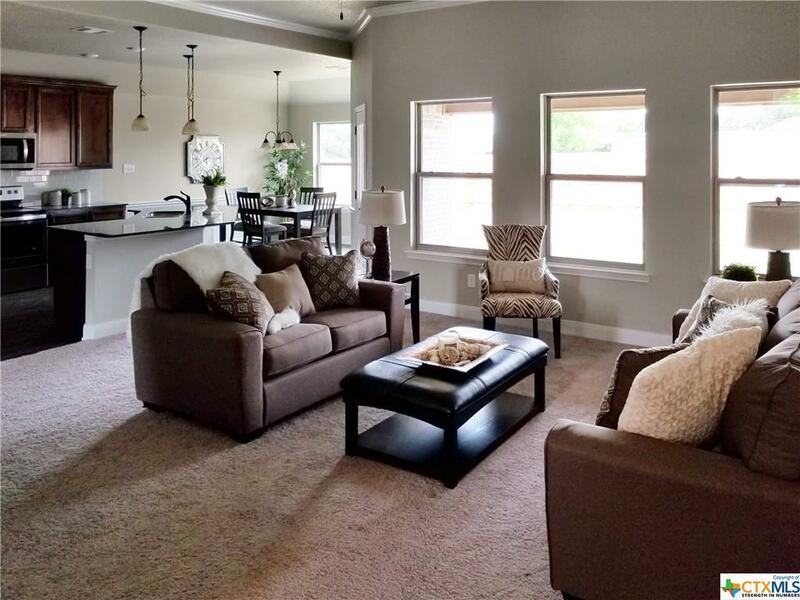 Perfect location for commute to Georgetown, Round Rock, Fort Hood or Temple Texas. 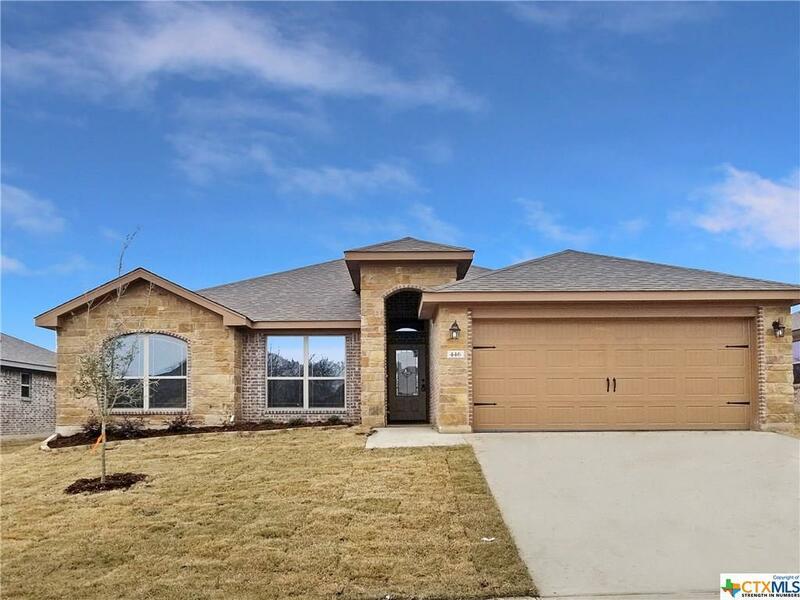 Belton Schools!